A Good Cry a Day Keeps the Doctor Away? A good cry a day keeps the doctor away. Wait, I think I got the saying wrong, ,but is crying actually healthy for you? 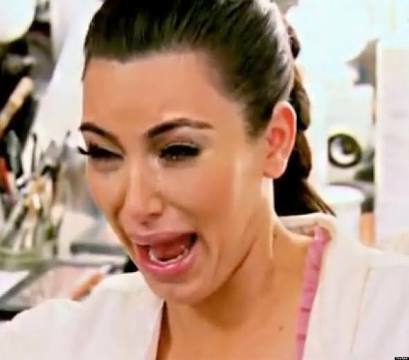 According to WebMD, crying is actually good for ones health. Some doctors even recommend it. Fun fact: In japan there are even crying clubs because it is believed to be very healthy and refreshing. Why is the science behind on the crying remedies? 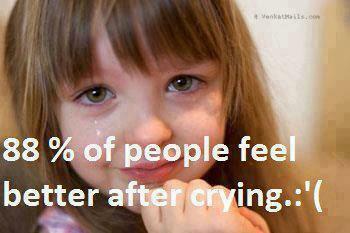 Crying acts a stress reliever. Research proves that there are more stress hormones found in emotional tears rather the tears that come from something like dust for example being caught in ones eyes. Crying activates the parasympathetic system which is a part of the autonomic nervous system and acts as a stress reliever to calm the body down. Aside from a form of calming however, crying also benefits help in other ways. Tears are actually salt water which contains antibodies, lubricate eyes, and prevent irritants. There are three types of tear produced by humans which are reflex- like when smoke gets in your eye, continuous- produced daily for lubrication, and emotional. 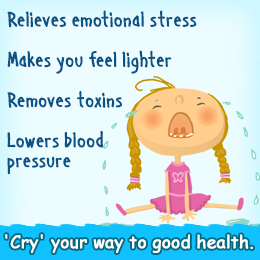 According to biochemist Dr. William Frey, while reflex tears are mostly water, emotional tears exert stress hormones. Tears even travel to the nose keeping it clean and moist. Fun fact: Humans are the only species that shed emotional tears, while others only shed reflex. So what’s is the rumor with girls crying more than boys? And if that’s the case, are women healthier than men? A study tested if the rumor of women crying more was true, and if so, why? Biologically, testosterone found in men tend to block tears, while the hormone prolactin found in women, tends to encourage it. However, culture also plays a huge role in crying. The study tested over 35 countries. There was significant changes in crying between men and women in countries where social freedom for women was more accepted, such as the U.S, while in more controlled countries like Ghana, there was not a huge difference. Therefore, while there is no direct causation or correlation between crying and women, many variables such as biology and surrounding environment affect the crying rate. In terms of health however, what does this mean? Men just like women regardless of emotional tears have reflex tears, giving them the same health antibody benefits as women. Men tend to be viewed as angrier and more aggressive than women because they do not use the emotional tears to activate their parasympathetic systems. However, because it is now more acceptable in modern society for men to cry, as social norms and gender roles continue to change, men also get the stress relief that come along with all three types of tears. So to both males and females, the next time you are feeling overwhelmed, or watching a really sad movie, don’t be afraid to cry, because it does in even the smallest ways, benefit your health. This was a very compelling and relevant post to read considering we are just all getting over the midterm exam period at Penn State. Crying has always been a form of release for me at least. Honestly, sometimes I’d watch a sad movie just to be able to release a few tears, I feel as if crying sometimes really does de-stress me! I thought that this was the general case for most people, but after doing some research on the topic, I found an article from the New York Times that discovered that crying, although for many it indeed does de-stress or calm them down, it has a different lasting impact on each person. For example, for people dealing with different mental disorders such as di-polar disorder or different depressions, crying can actually leave them feeling worse than they were before their crying episode. I’ve attached the article discussing the differing impacts of crying below. I am not sure how to edit my comments yet, I’ll make sure to email a TA if it is possible, but if not the word “di-polar” in my comment is supposed to be “bi-polar”. Sorry! I really liked this post, because I find myself crying a decent amount. I do not cry because I am sad, I often times cry to release stress, or even when I am overwhelmingly happy! I know that sounds weird but crying to me is a healthy way to release emotion. I really liked the fact that you brought up that men cry less than women. You noted that this may be because testosterone restricts tears. I personally believe it is more of a societal stigma that men are to give off a strong persona. Overall I felt that this post was well written, and extremely interesting! I was intrigued when you brought up the question if women cry more than men. In my HDFS class, my professor just gave a lecture on how boys are restricted from showing emotions by society. You made a similar point that men tend to not show emotions and are seen more as aggressive and tough, but it was also so interesting to read about their testosterone blocks tears. I was just going to mention the same thing about the HDFS lecture! Society has put a predetermined notion n boy’s brains that they have to be strong and not show emotion as much as girls, which may be way it is rumored that girls cry more. I bet if boys cried every once in a while they would fell just as healthy as girls do after a good cry. This is a topic i never really thought about, but now that I’m ready about it I relate a lot. Usually when I become very overwhelmed with homework and just life in general, end up crying. Before I cry I feel as though I hit my breaking point, but afterwards I feel almost refreshed. It is a good way to let out your stress and frustration, without even moving from your seat.http://psychcentral.com/blog/archives/2009/06/06/7-good-reasons-to-cry-your-eyes-out/ This article gives seven reasons as to why crying will help you and I found it to be a very interesting read.